Austin, TX – Cadence Sports has partnered with the Texas Mamma Jamma Ride to manage the planning and production for the annual ride. 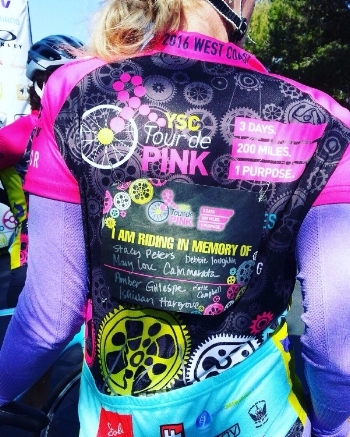 The Texas Mamma Jamma Ride raises funds to support local organizations to ensure that people in Austin and the surrounding communities have access to the care and support they need to fight breast cancer. Since 2009, the ride has raised more than $2.6 million to help save and improve the lives of those facing breast cancer. “The Texas Mamma Jamma Ride and Cadence both began around the same time in Austin, Texas! We have followed the ride over the years and are thrilled to help continue to grow so that more lives can be changed through its mission,” Gary Metcalf, President of Cadence Sports. “We are excited to take this big step in the growth of Mamma Jamma. We are confident that our association with Cadence Sports will help us become the premier charity ride in Central Texas and most importantly, provide greater support for breast cancer fighters and survivors in our community,” said Jenny Douglas, Board President, Texas Mamma Jamma Ride."